Twenty-two year old Ivy Morgan isn't your average college student. She,and others like her, know humans aren't the only thing trolling the French Quarter for fun... and for food. Her duty to the Order is her life. After all, four years ago, she lost everything at the hands of the creatures she'd sworn to hunt, tearing her world and her heart apart. Ren Owens is the last person Ivy expected to enter her rigidly controlled life. He's six feet and three inches of temptation and swoon-inducing charm. With forest green eyes and a smile that's surely left a trail of broken hearts in its wake, he has an uncanny, almost unnatural ability to make her yearn for everything he has to offer. But letting him in is as dangerous as hunting the cold-blooded killers stalking the streets. Losing the boy she loved once before had nearly destroyed her, but the sparking tension that grows between them becomes impossible for Ivy to deny. Deep down, she wants... she needs more than what her duty demands of her, what her past has shaped for her. But as Ivy grows closer to Ren, she realizes she's not the only one carrying secrets that could shatter the frail bond between them. There's something he's not telling her, and one thing is for certain. She's no longer sure what is ore dangerous to her- the ancient beings threatening to take over the town to the man demanding to lay claim to her heart and soul. 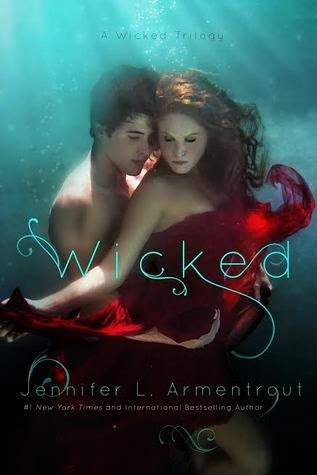 Jennifer L Armentrout's writing is just so easy and fun to read I literally could not wait to get up in the morning and plow through more of the book... Then I couldn't wait anymore because I had to find out what happened. Even though I spoiled myself, it didn't actually make since until I was over half-way through the book. Still spoilers are spoilers. Ok, so Tink was my absolute favorite character! He made the best comments and I couldn't help but just love his character. As for Ivy, I didn't always like her because she was indecisive and could've been saved from a crap load of drama if she would've just made up her mind about liking Ren, or talking to the Order, etc. Ren was just a dream boat, well at least 99% of the time. 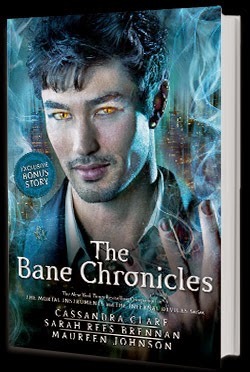 He reminded me a lot of Daemon from the Lux series. They are both cocky and they both have beautiful green eyes... In other words, whats not to love. 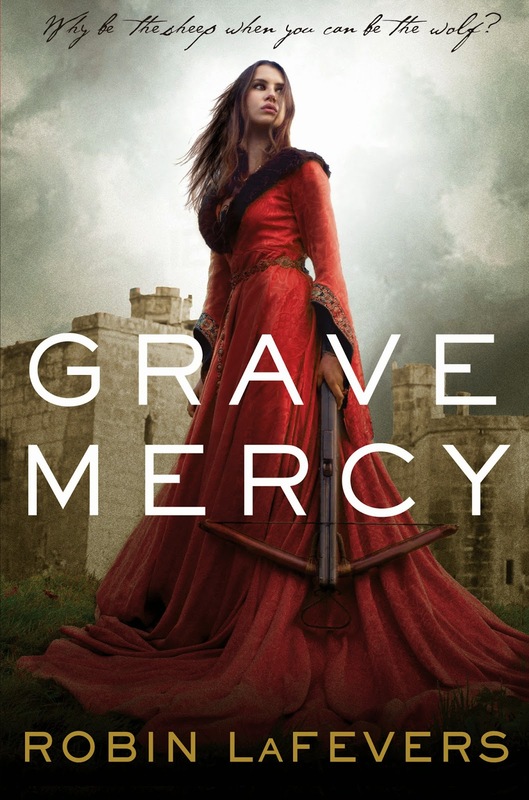 Unlike everyone else who has read this book, I didn't see val's betrayal coming and I was kind of upset. "Let me ask you a question," she said, leaning forward. "Do you trust him?..." "Yeah, I trust him." "You wouldn't lie to me, would you, Tink?" "No." he grinned. "You have Amazon Prime." I was super relieved Ivy kept info to herself instead of sharing it with David because I'm still suspicious of him. "You gave Tink a scarf. Tink is free!"... "Tink is freeeee!" Ren looked at me. " What in the actual f**k?" I sighed. "He's obsessed with Harry Potter. I'm sorry." And I thought I couldn't like Tink more...I was wrong. I started playing Love me like you do (Ellie Goulding) continuously starting on page 318. I need torn right now!... like right now because I'm dying....right this minute! When Cassiel dies at sixteen years old, she is sent to a world she doesn't belong to. 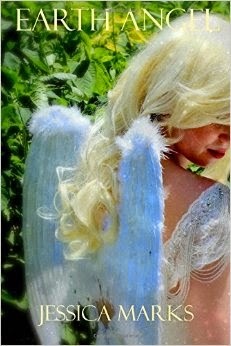 Desperate to get back home, she volunteers to become an Earth Angel. She is relocated to Kansas, and meets her first human assignment: a high school boy named Wyatt. But suddenly Cassiel's pre-arranged life is interrupted by Ryan, a boy as strange and quiet as Wyatt is bad. Though a mistake with her assignment could mean an eternity in Hell, Cassiel is irrevocably drawn to the one person who could be her downfall. Hey" is the new okay? okay. First off I wanna say wow. This book was written by a sixteen year old and it was just super amazing...okay now that i've said it lets get started. Ok, so at first I thought the premise sounded a little cliche. My first impression: wow, Angels thats totally new...oh look theres even a weird love triangle thing going on! If this was your first impression also then please don't hesitate because of it. I actually really liked this book so don't be quick to judge. This book made me feel many different emotions. I was irritated at some points, mad, sad, really sad, happy, and relieved. Yep, that's all the main describing words I got. Why did I mark it down by .7? *I didn't always like the main character (Cassiel) because of some of the decisions she made throughout the book. Also, sometimes I just disliked her personality/how she acted towards others. Why did I rate it 4.3? If anything I said interested you, go get the book and read it so we can talk!!! "I died eighteen years ago" is the first sentence. I was immediately drawn in. I was so upset when Wyatt committed suicide. (I think my eyes popped out of my head when I read that part) but I probably should have seen it coming. In the end I was happy that everyone got there happy ending because (most) of them deserved it. This book was absolutely indescribable. Spiegelman told a sad story of the holocaust (aren't they all) through comics, which made this story especially unique. 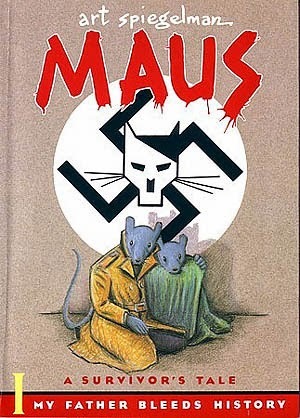 For those of you who don't know what this book is about, it's about the holocaust....except it follows mice? Knowing what the animal symbolism means is especially important to know while reading this story because it allows you to better understand basically the entire book. I believe this book is based off Art Spiegelman's father. Although Art is referred to as Artie and his father is referred to as Vladek. Personally, I was required to read this for my language arts class. Usually I dislike required reading but I found this book to be especially interesting. Even though the main characters are "rats" I couldn't help but still feel impacted because of the horrible premise of being part of the holocaust. I would also recommend this book to people who like good, solid graphic novels because it was quite interesting. I'm Faith and welcome to Faiths Bookspiration. I will post at least once a week so check back!